Great honor for the Inventux Technologies AG and its micromorph thinfilm solar modules: An international jury of experts awarded the frameless glass/glass module from Berlin with the prestigious red dot award for product design. Wellknown companies such as Apple, Nokia and Porsche Design were able to win the soughtafter design award for their products - now the Inventux Technologies AG from Berlin is among them. The successful product composition with consistent black module surface in "pinstripe" appearance paired with rearintegrated stainless steel backbars provide for highest aesthetic and design demands. With an ideal module surface of 1.43 square meters in nearly square shape and only 8 millimeters thickness of the glass-PVBglass laminate micromorph Inventux modules are applicable for different requirements. 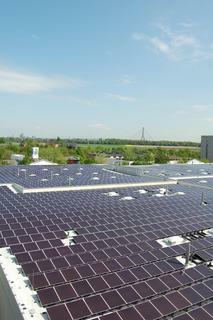 They are perfectly suitable for PVsystems on small and mediumsize residential roofs as well as larger industrial roofs. The intelligent module design allows for fast, easy and efficient installation. "We are particularly honored to receive this award from an international jury" says Christian Plesser, Chief Marketing Officer at Inventux. "The prize clearly confirms that Inventux manufactures and markets excellent and durable PVmodules by using firstclass components and focusing on production quality." The red dot is awarded since 1955 and belongs to the biggest and most prestigious awards of its kind worldwide. The prize is considered as a seal of quality for excellent design and is renowned among circles of experts. Decisive assessment criteria are the degree of innovation, the functionality and the product quality. The prestigious award has always been awarded to companies focused on innovative design. As one of only very few solar module producers Inventux joined the list of innovative and highquality winners on March 15th. This year 1,636 companies from 57 countries submitted a total of 4,252 proposals for the soughtafter design award. 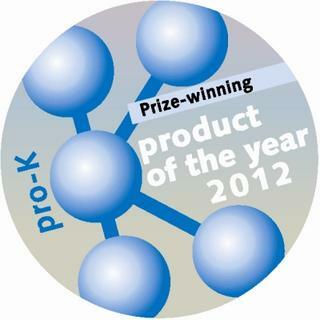 A module of the X-Series MICROMORPH, together with the other awardwinning products, will be displayed in July 2010 in the exhibition "Design on stage - winners red dot award: product design 2010" in the world cultural heritage "Zeche Zollverein" in Essen, Germany. Subsequently the Inventux module will be presented for a minimum of one year in the red dot design museum. It is home to 1,500 products displayed on more than 4,000 square meters and the largest permanent exhibition for contemporary design worldwide. Inventux Technologies AG is a solar energy company specializing in the development, production and marketing of micromorph thinfilm solar modules. The declared objective of the company, founded in 2007, is to become a world leader in the production of thinfilm photovoltaic modules assured of a sustainable future through industrialscale production. The advantages of thinfilm technology, when compared with conventional crystalline module technology, are to be found in the markedly lower energy costs in the production process and the potential economies of scale. The manufacture of environmentally friendly micromorph thinfilm modules also requires significantly smaller volumes of solargrade silicon. 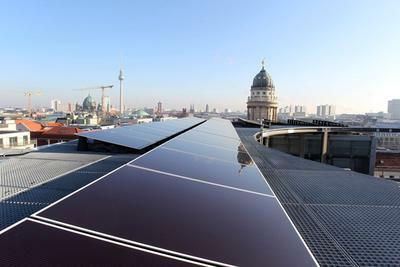 At its company headquarters in Berlin Inventux began production of siliconbased micromorph thinfilm solar modules at the end of 2008. Inventux Technologies AG currently employs 190 people.